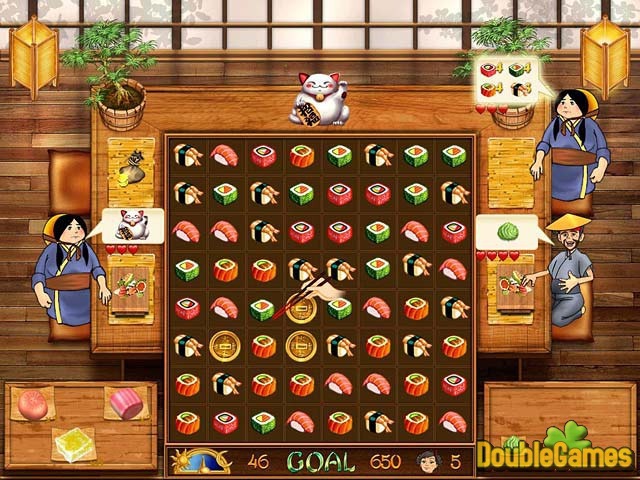 In this time management game you will have to manage your own sushi restaurant. Follow the secret recipes of your wise grandfather and keep your customers satisfied with the service you provide. You will have to use all your match 3 and time management experience to earn enough money to modernize your restaurant. Show yourself as a good manager and the success is guaranteed! 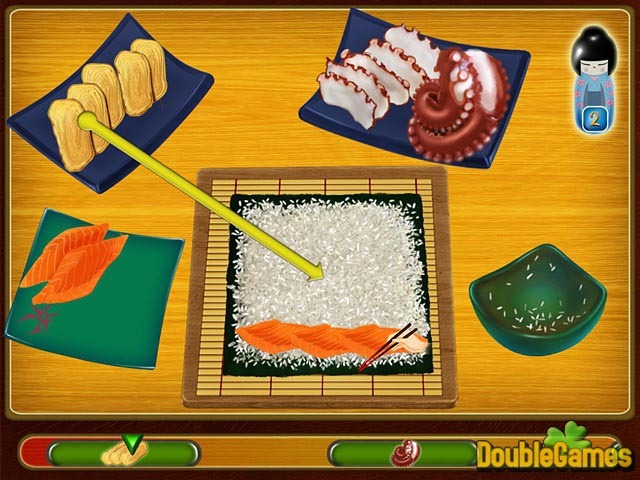 Title - Asami's Sushi Shop Game Download for PC Description - More details about Asami's Sushi Shop, a Puzzle game produced by Gestalt Games. It has fallen on Asami to carry on her family`s tradition and become a master at making sushi! This game is a mix of match 3 and time management genres: primary goal is to prepare right orders for your customers by matching identical elements in rows of three. You have to make it in a limited period of time, otherwise the patience of your customers will run out and the will leave the restaurant. If you manage to achieve those two goals your place will be crowded with people and you will have enough money to improve your service and interior. A vide selection of objects will be available for you, like colorful napkins, Asian lamps or Sakura plants. The game has two modes: time mode and relaxed. Gameplay is diversified with various bonuses, power-ups and mini-games, which perfectly suit the game subject. Nice graphics and pleasing music strengthen the eastern atmosphere. 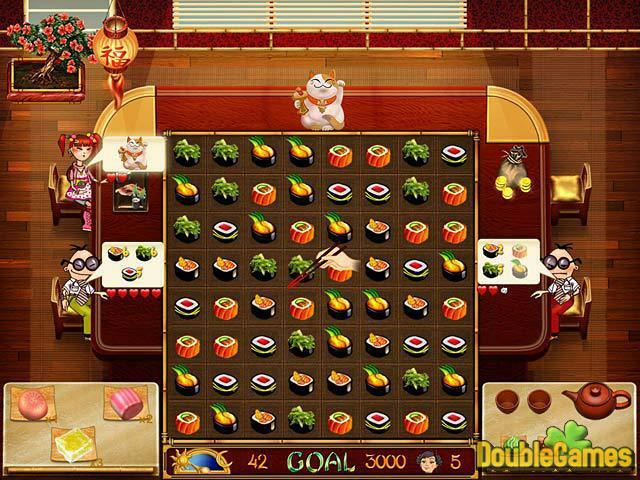 We can’t say that the idea of Asami’s Sushi Shop is unique in some way, cause there is a great number of similar games, for example Burger Rush, but we are absolutely sure that the fans of match 3 genre won’t be disappointed!